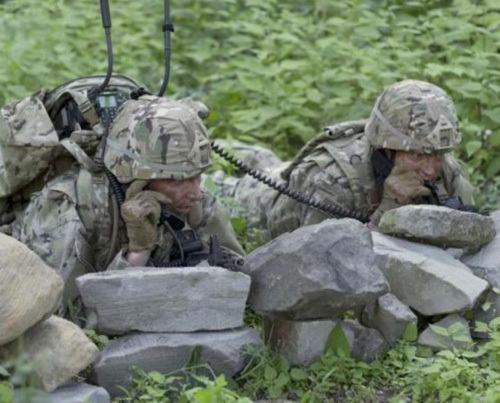 Harris Corporation has received a delivery order to supply its multi-channel Falcon III ® HMS (Handheld, Manpack & Small Form-Fit) Manpack radios to support two major U.S. Army test events. The order was received during the first quarter of Harris’ fiscal 2018. The Harris’ AN/PRC-158 multi-channel radio for - both dismounted and mounted manpack configurations - is one of three radios the Army selected for evaluation during Field-based Risk Reduction (FBRR) and Operational Test (OT). The order also includes vehicle installation kits, ancillaries, training and field service representative support. The first radios are expected to be delivered in the spring of 2018. Harris’ HMS Manpack radio features a two-channel, software-defined architecture with integrated cross-banding. It includes SRW, SINCGARS and MUOS SATCOM waveforms, while maintaining backward interoperability with legacy waveforms. The software-defined architecture enables the addition of capabilities through software updates to respond to new and emerging threats. “The Army is partnering with Harris to modernize its communication capabilities to support the growing need for information on the battlefield. The HMS Manpack is critical to these modernization efforts and gives warfighters a tactical advantage,” said Brendan O’Connell, President, Tactical Communications, Harris Communication Systems. Harris Corporation is the leading global supplier of secure radio communications, tactical communication networks and embedded high-grade encryption solutions for military, public safety, government and commercial customers. Harris creates a networked battlefield environment using Software Defined Radio technologies in all form factors - handheld, manpack and vehicular configurations - giving customers unprecedented situational awareness capabilities, including streaming video to the tactical edge of the battlefield.